The condition of your siding plays a vital role in the curb appeal of your home or business. You can take years off a building’s exterior just by cleaning it off. The advanced 3-step cleaning and protecting process at Renew Crew of Johnson City will eliminate stuck-on dirt and stains from your siding and keep it beautiful for years to come. 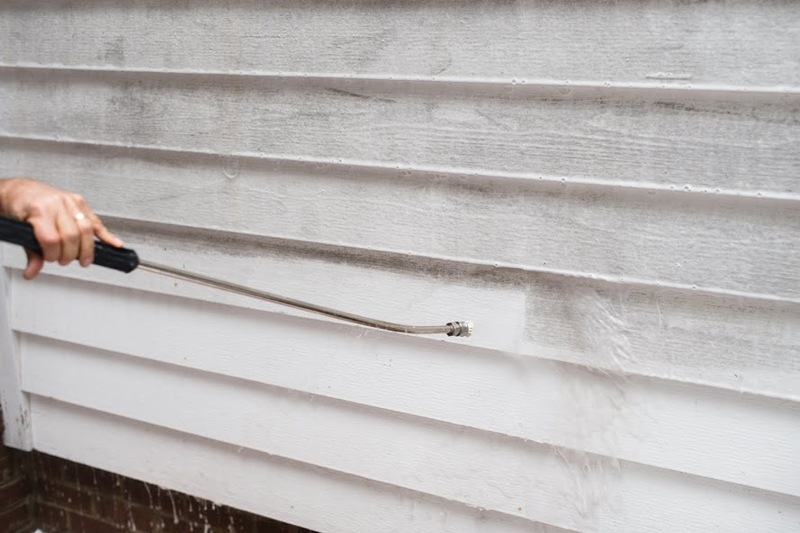 Power washing is a great tool for cleaning vinyl siding, but a pressure wash alone is not enough to remove dirt deeply embedded in the siding. At Renew Crew of Johnson County, we use our exclusive presoak foam to get in between the fibers in the siding and loosen up set-in stains. The presoak formula is environmentally friendly and safe for people, plants, and all surfaces on your property. Once the foam has pulled up the deep-set dirt, our controlled pressure washers will gently lift the dirt and stains off the surface, leaving you with fresh siding once again. Many store-bought power washing machines have tight streams of water that are simply too powerful to safely clean your siding. We work with the best equipment on the market to ensure your exterior is safe and protected. The final step in our siding cleaning and protecting process is designed to preserve your siding and minimize the need for future cleanings. We will apply a protective sealant to the siding that repels moisture and prevents dirt buildup all year long. With regular care and maintenance, your siding can last for decades without replacement. Why trust Renew Crew with your siding cleaning and protecting? Because we back all of our work with a 100% satisfaction guarantee. We have been honored with an Angie’s List Super Service Award for four years in a row, and we hold an A+ rating with the Better Business Bureau. If you want reliable siding cleaning from a trusted power washing company in Johnson county, Renew Crew is the team for you. Different siding materials require different tools and techniques for cleaning. Whether you have simple vinyl siding, fragile Spanish stucco, antique bricks, or something in between, we have what it takes to clean and protect your siding. Call Renew Crew of Johnson County at 913-661-9663 to schedule a consultation, and we will go over your options with you. The estimate is free, and there is no obligation.